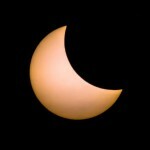 Image courtesy : Office of Council Services. An audit of the county’s Solid Waste Division reveals the county’s 20-year waste-to-energy contract is projected to cost $1.7 million per year more than presented to the council, Budget and Finance Committee Chair Riki Hokama announced today. In January 2014, Mayor Alan Arakawa signed a 20-year agreement with Maui Recovery Facility LLC and Anaergia Services, with the administration stating annual savings to the county would be $916,500, compared to current landfill operations. The audit, transmitted to the Budget and Finance Committee today by Council Chair Mike White, reveals the project will actually cost the county $835,000 per year over and above current operations, according to a press release. “So, instead of a cost savings of $18.3 million, as announced by the administration when the contract was signed, there is a projected extra expense to Maui County taxpayers of $16.7 million for the term of the contract,” the press release stated. “This results in a $35 million cost disparity, according to the audit,” according to the announcement. 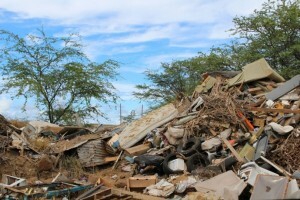 The cost savings were predicated on significant reductions in labor, operating and construction costs at the Central Maui Landfill, according to the audit, conducted by CB&I Environmental and Infrastructure, Inc.
“The analysis done by CB&I raises many concerns with the contract signed by the mayor,” Hokama said. “Instead of savings, the county may now see higher costs in the amount of $35 million over the 20-year life of the contract. Hokama said the waste-to-energy agreement was proposed by the administration as a “no-cost” contract. So there was no legal basis for council approval of the contract. 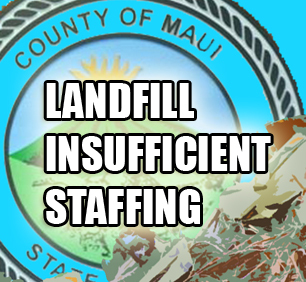 CB&I’s audit estimated cost reductions at the Central Maui Landfill would not be directly proportional to the reduction in landfill tonnage, as assumed in the Department of Environmental Management’s projected model. The audit was initiated by the Maui County Council after concerns over staffing and regulatory issues arose during discussions for the fiscal year 2015 budget. The council questioned why additional staffing was needed when a significant staff reduction in staff was anticipated with adoption of the waste-to-energy project, Hokama said. CB&I’s audit also concluded the county’s Solid Waste Division of the Department of Environmental Management is positioned to operate its solid waste facilities at current levels and maintain regulatory compliance. Hokama said the department was afforded an opportunity to provide comments on the audit and did not provide justification to dispute CB&I’s findings. 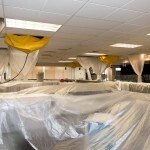 CB&I Environmental and Infrastructure, Inc. is a nationally recognized solid waste consulting group with extensive experience in assessments of public solid waste systems and has completed solid waste projects in island settings. The committee will discuss and receive a presentation on the audit on Tuesday, March 15, 9 a.m. at Council Chamber. 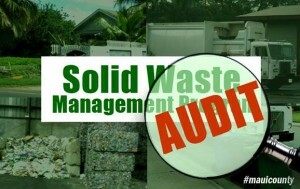 A copy of the audit is posted on MauiCounty.us/solidwasteaudit and testimony may be submitted to bf.committee@mauicounty.us.